When I teach people about mindmapping, I try to be explicit about one thing. My use of the phrases “left side of the brain” and “right side of the brain,” is entirely metaphorical. More detail became known in 2015 when researchers discovered that proprioceptive activities (actions such as tree-climbing that make you aware of your body in space) increase working memory by 50 percent. And it’s working memory that allows creativity to flourish. So what, exactly, is creativity? It’s the tendency to generate or recognize new and fresh ideas. It allows us to see the world in new ways, find hidden patterns, make connections between seemingly unrelated things and generate solutions. Creativity is essential for writers — even non-fiction ones — because it’s what allows us to find the most interesting and engaging ways to express information so that other people will want to read it. As writers, we usually want to think really hard about our work and we expect that thinking will give us the answer to our writing problems. But what I like to call the “aha moments” occur almost always when our conscious mind is thinking of something else, or not thinking at all. We can’t generate creative solutions to our writing problems through sheer force of will. Instead, we can only provide a comfortable environment in which they can emerge on their own. This is why overthinking is such a big mistake. 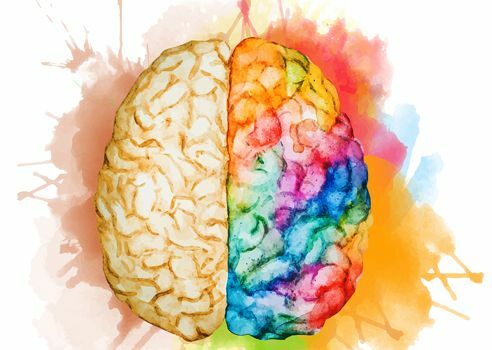 Now, science is telling us that the prefrontal cortex isn’t so useful to creativity. Instead, the cerebellum may be key to the creative process. Another 2015 study, conducted by Stanford University and published in Scientific Reports, shows direct evidence that the cerebellum — home to muscle memory, balance and coordination — is directly involved in the creative process. So the next time you’re struggling with a piece of writing, instead of trying to think your way through the problem, take a break and go for a walk or a swim or a bike ride. As philosopher and psychologist William James advised way back in 1911: “When you are making your general [creative] resolutions and deciding on your plans of campaign, keep them out of the details. When once a decision is reached and execution is the order of the day, dismiss absolutely all responsibility and care about the outcome. This is an updated version of a post that originally appeared on my blog Dec. 8/15. Do you ever fall prey to overthinking? We can all learn from each other so, please, share your thoughts with my readers and me in the “comments” section below. Anyone who comments on today’s post (or any others) by Aug. 31/18 will be put in a draw for a copy of the non-fiction book Selling to Big Companies by Jill Konrath. Please, scroll down to the comments, directly underneath the “related posts” links, below. Note that you don’t have to join the commenting software to post. See here to learn how to post as a guest.